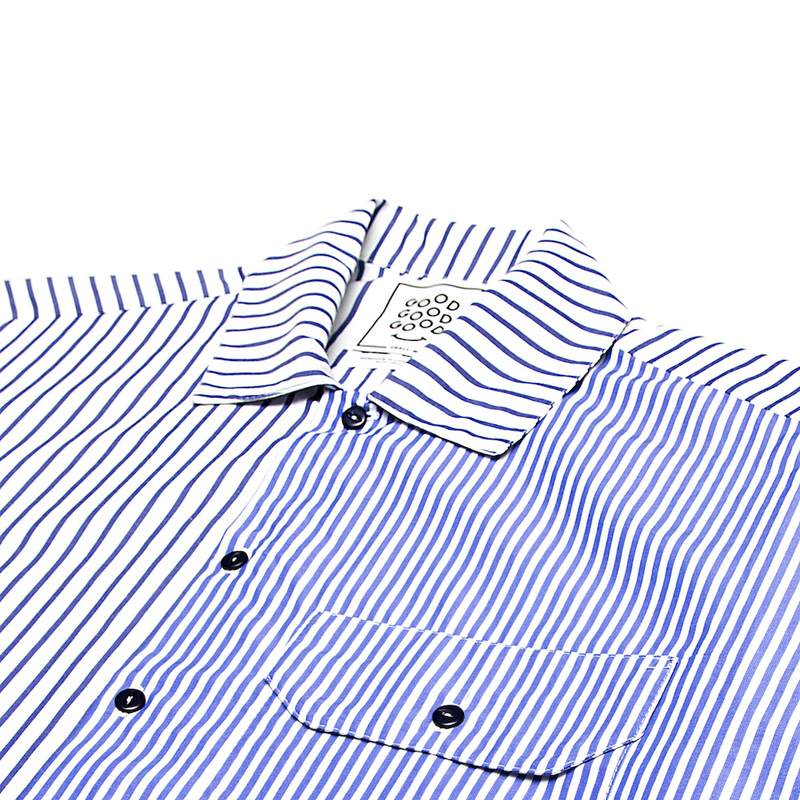 A classic box-shaped shirt featuring irregular striped panels and a utility pocket with pen insert. 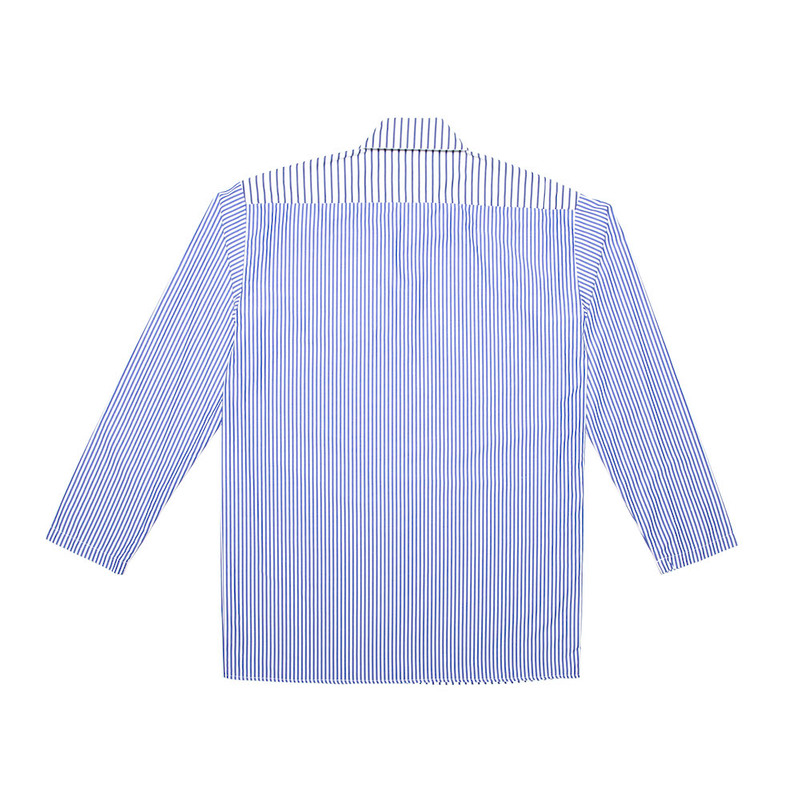 Cut from a lightweight 100% cotton. 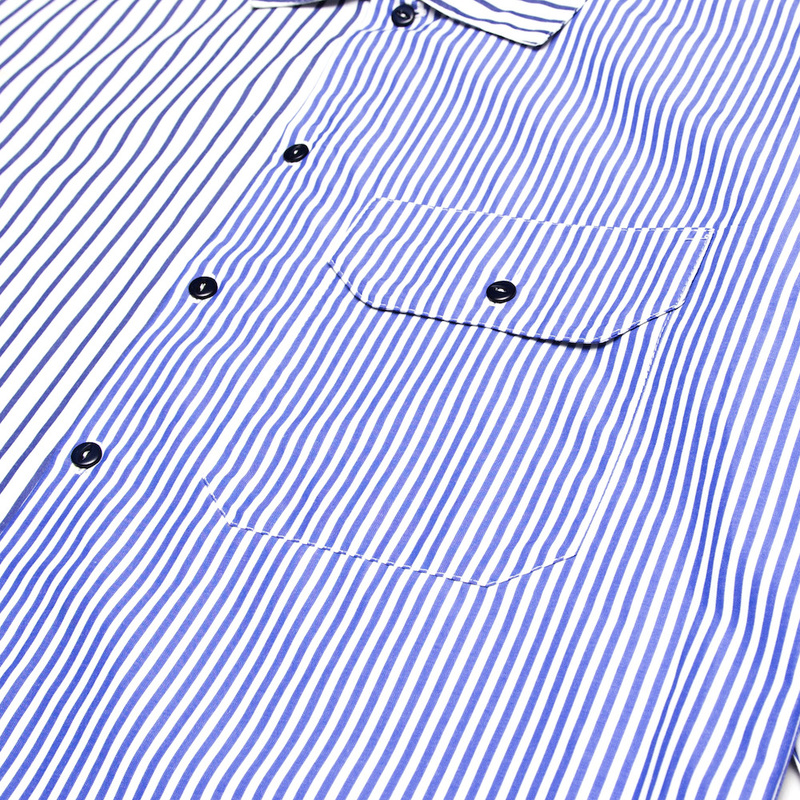 Finished with a straight hem and hemmed cuffs. 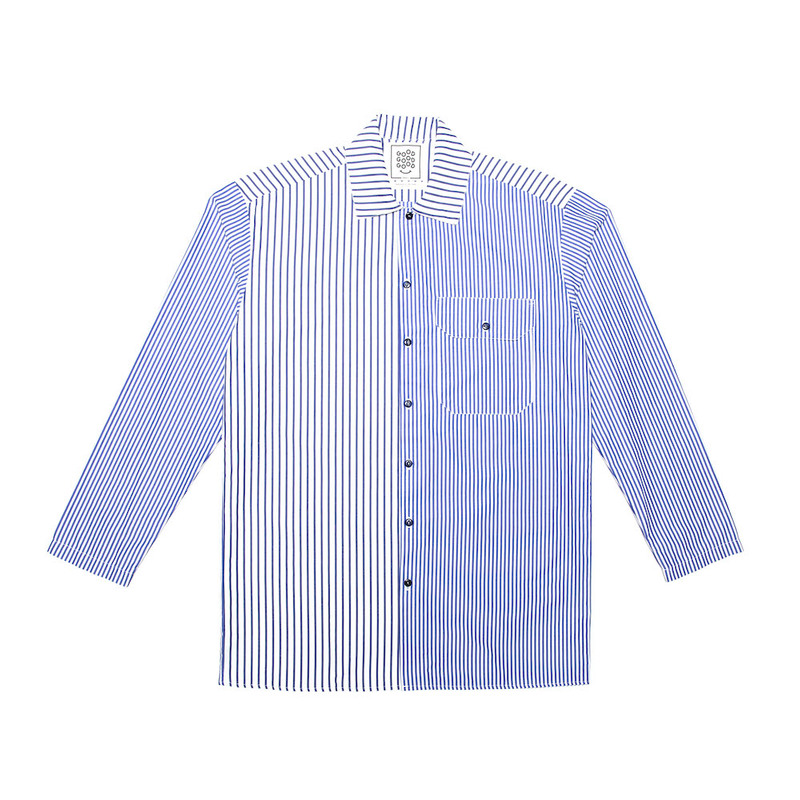 Notify me when Small Resort Shirt - Vertical Split - Navy is available.